Equity crowdfunding (ECF) will change considerably by the end of 2014. The introduction of Title II of the JOBS Act on September 23, 2013 gave entrepreneurs the ability to publicly advertise their need for funding. Title III is expected to become law in the spring of 2014 and will provide entrepreneurs with a much greater investor pool, as unaccredited investors will then be able to participate in ECF. Once the JOBS Act is passed in its entirety, ECF will become the predominate method entrepreneurs use to raise capital for their endeavors. With these major shifts in the financial markets, some important occurrences are predicted to emerge throughout the year, with the top five being listed below. 1) Up to $1 billion in equity transactions will occur worldwide in 2014 based on industry trends from the past two years. 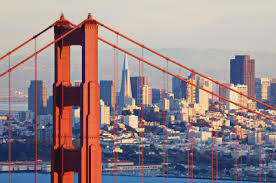 The 2013 crowdfunding report by Massolution stated that around $5.1 billion in transactions occurred globally in 2013. That’s around a 100 percent increase from 2012 when $2.6 billion was raised. The report also stated that $204 million was from ECF. Assuming that the global crowdfunding market will again experience a 100 percent growth rate next year, and regulations will allow for more people to participate in ECF, ECF could produce between $500 million to $1 billion transactions in 2014. This is especially true as more investors realize the potential ROI in ECF. 2) Equity crowdfunding will become a global phenomenon as countries begin to utilize it to maintain their economic competitiveness. In some countries such as Finland, the United Kingdom, and Italy, ECF is already legal. The United States is also well on its way tolegalizing ECF by adopting Title III of the JOBS Act. This law will allow almost any investor to participate in ECF sometime next year.Global participation in ECF will eventually occur as more countries develop laws to deal with the legal matters revolving around ECF. A new report produced by Richard Schwartz for the World Bank estimates that the annual total market potential of the entire crowdfunding industry would average around $300 billion by 2025. China’s potential could reach $47.6 billion, while Europe andcentral Asia could reach $13.8 billion. 3) Title III of the JOBS Act will be implemented by the SEC by mid-year in the US, but will be slowly embraced by the industry due to its complexities for platforms and users. The SEC proposed rules for Title III of the JOBS act on October 23rd. Once approved, it will allow non-accredited investors to participate in equity crowdfunding. Title III will introduce a new crowd to ECF; however, due to regulations and limits on how much an entrepreneur can raise, it will not be used as much as Title II in 2014. For example, it is likely that entrepreneurs who use Title III will only be able to raise $1 million in funding, and crowdfunding platforms will be required to register with the SEC. Title III will eventually be noted as a major milestone for the crowdfunding industry, just not in 2014. 4) In North America, more than half of companies using equity crowdfunding platforms will use the new Title II rule to advertise their need for funding. Title II of the JOBS Act was introduced earlier this year on September 23, 2013. It lifted the 80-year-old ban on general solicitation, llowing business owners to publicly advertise their need for funding. According to EquityNet’s data, about half of the new companies listed on the site are utilizing Title II to reach a broader audience of investors. More entrepreneurs will likely begin to adopt this rule in 2014. 5) Many ECF platforms will no longer be in operation by the end of 2014. The market share will eventually gravitate to the leading platforms with the largest populations and most advanced crowdfunding tools. This means that as 2014 progresses, the industry will experience a shakeout. Some sites may have difficulty complying withnew regulations. Other sites may decide may wait for regulations to become finalized. Either way, situations like these arechallenging for any company operating in the crowdfunding industry. In fact, sites like fimbex and crowddiligence are already nolonger in operation. More will follow by the end of 2014. On average, supermarkets in the United States use around 50 kilowatt-hours (kWh) of electricity per square foot per year. Average annual energy cost is more than $4 per square foot. For an average-size store, this equates to more than $100,000 annually in energy costs. 1,900 tons of CO2 is emitted into the atmosphere by each store— equivalent to the emissions from 360 vehicles in one year! 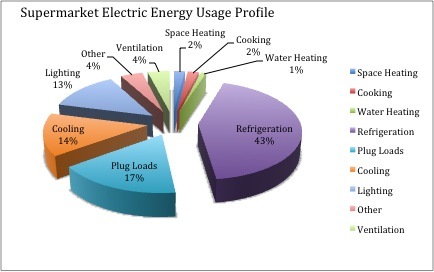 Refrigeration and lighting account for over 50 percent of total energy use. Profit margins of supermarkets are 1 to 2 percent. ENERGY STAR estimates that one dollar in energy savings is equivalent to increasing sales by $59! A Power Purchase Agreement (PPA) is a 10 – 20 year contract whereby the host site agrees to purchase solar generated electricity at a predetermined rate. The goal of a PPA is to create annual electricity savings for the host site, and provide a way to transition to solar without any upfront costs or obligations. The PPA provider, GreenLeaf Energy Group, www.greenleafenergygroup.com contracts with the host to provide system design, construction and maintenance, and arranges incentives and permitting. The PPA provider then owns and operates the system once it is installed. KEY BENEFITS TO INVESTORS: Tax rebates; accelerated payback of initial investment. KEY BENEFITS TO LENDER: Reduced risk; loan secured by substantial equity. KEY BENEFITS TO USER: No up front cost, immediate reduction in energy cost. You are currently viewing the archives for April, 2014 at Atlantis Technology Fund.